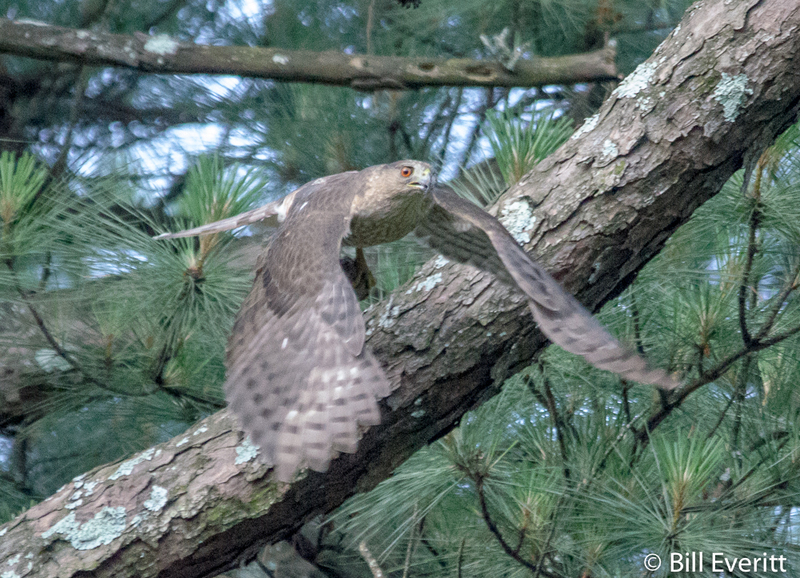 Late in the day on Monday we were driving on the Georgia Tech campus and a Cooper’s Hawk flew low right in front of the car, barely missing us. A split second prior to seeing the bird, a squirrel raced across the street in a straight-line hurry. He was not doing the indecisive squirrel thing that they do in the middle of the road, but running full out. Clearly the squirrel was in the hawk’s sights. How often does this happen? A little homework revealed that it happens much more often than you might think. Here’s what we’ve learned. Urban raptors that we see here are mainly hawks (Cooper’s, Red-tailed and Red-shouldered) and owls (Screech-, Barred and Great Horned). 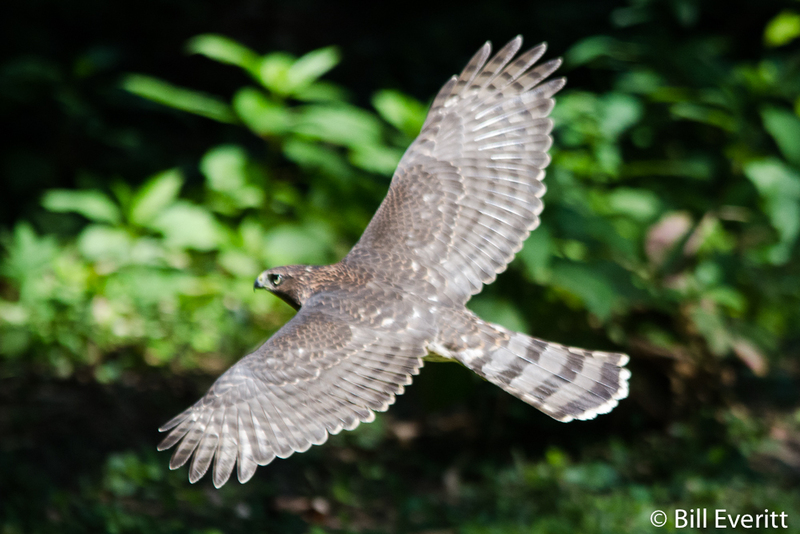 Hawks are daytime hunters while owls hunt at night, but both may be seen in the twilight hours of dusk and dawn. Cooper’s Hawks and owls look for prey from a perch and then move quickly to pounce on a prey animal (‘perch-and-pounce’). During a chase, these birds are laser focused on their prey, and because their eyes are fixed to the front they often miss objects coming from the side. The side of a highway or a city street is an ideal spot for urban perch-and-pounce raptors. This time of year, the leaves are off the trees and rodents and squirrels have less tall grass and ground cover in which to hide. Although raptors are fast and agile, they are no match for fast-moving vehicles. So, when driving in town, especially in urban neighborhoods with lots of trees and good hunting spots, slow down. If you see a squirrel, chipmunk or small rodent racing across the street, hit the brakes. Not just to save the squirrel, but because a raptor may be close behind. Drive like your children and wildlife live here. If you hit a raptor and it is still alive, try to get it to an animal rescue facility quickly. 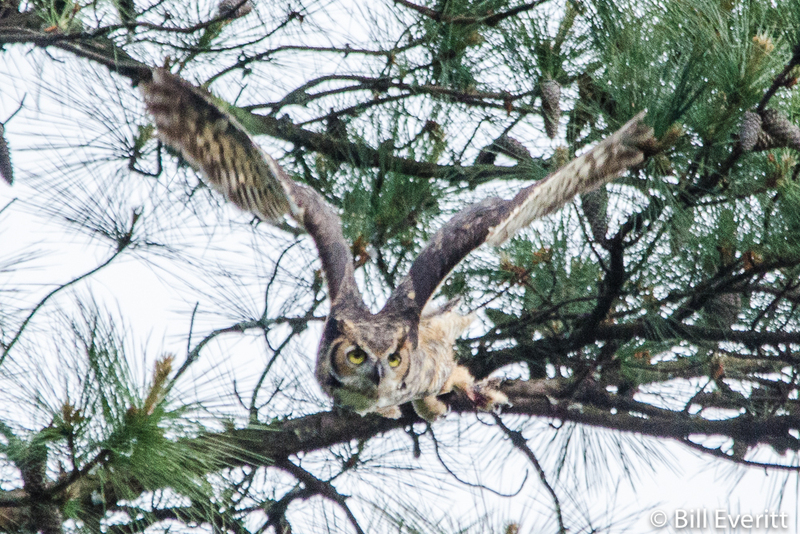 This entry was posted in Hawks, Owls, Raptors, Rescue and tagged Barred Owl, Cooper's Hawk, Eastern Screech-Owl, Great Horned Owl, Red-shouldered Hawk, Red-tailed Hawk on January 25, 2017 by beveritt.